Wreckless Eric began his recording life on Stiff Records in 1977 with his enduring hit 'Whole Wide World' when he was little more than an ex-teenage art student. Wreckless Eric released three albums on Stiff Records between 1978-1980 - 'Wreckless Eric', 'The Wonderful World of Wreckless Eric' and 'Big Smash'. In the 1980's he formed groups The Captains of Industry, The Len Bright Combo (with ex-members of Thee Milkshakes), The HItsville House Bandand Le Beat Group Electrique. 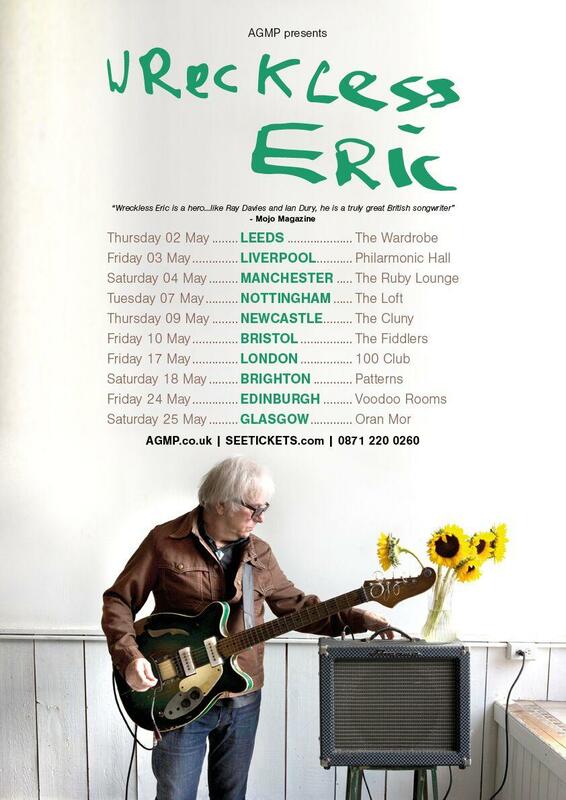 Reverting to the name Wreckless Eric for acclaimed albums on New Rose Records, Hangman Records and Fire Records, his 2018 album 'Construction Time and Demolition' was regarded as a career high and arguably his finest moment. * Please note, the scheduled finish time is subject to change. Please, check with the venue.